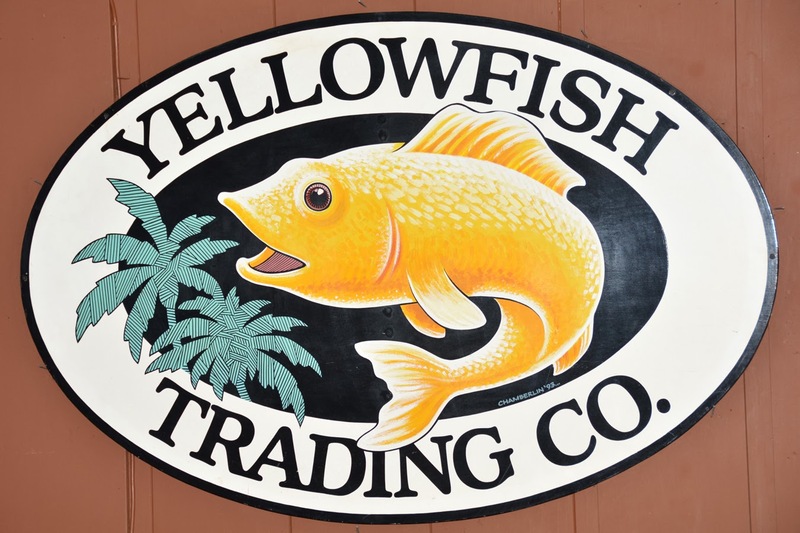 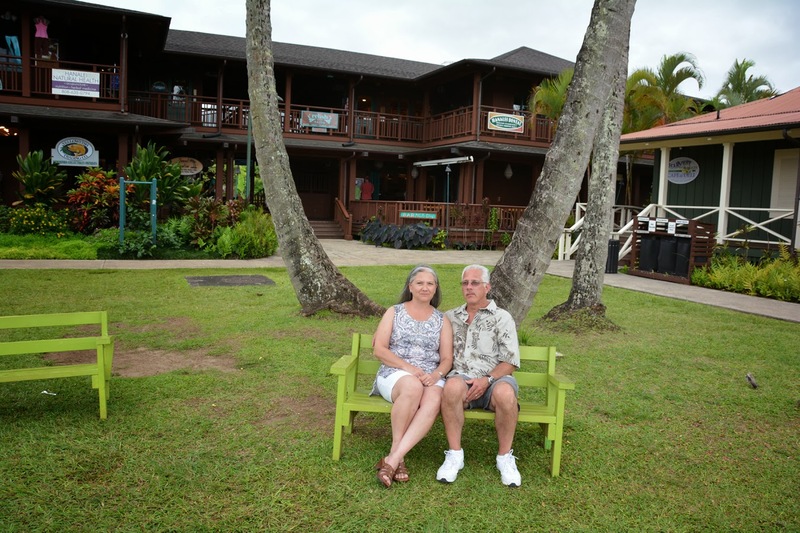 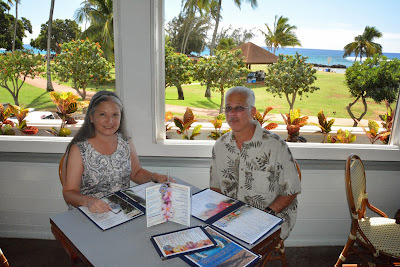 My favorite restaurant on Kauai is OLYMPIC CAFE in Kapa'a. Looks like a good spot for dinner before we board our flight back to Honolulu. 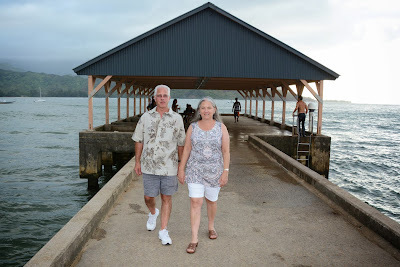 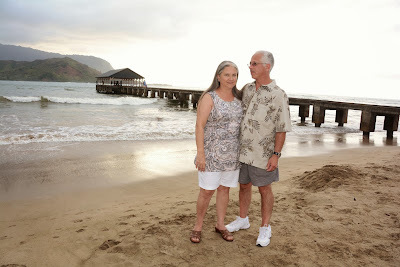 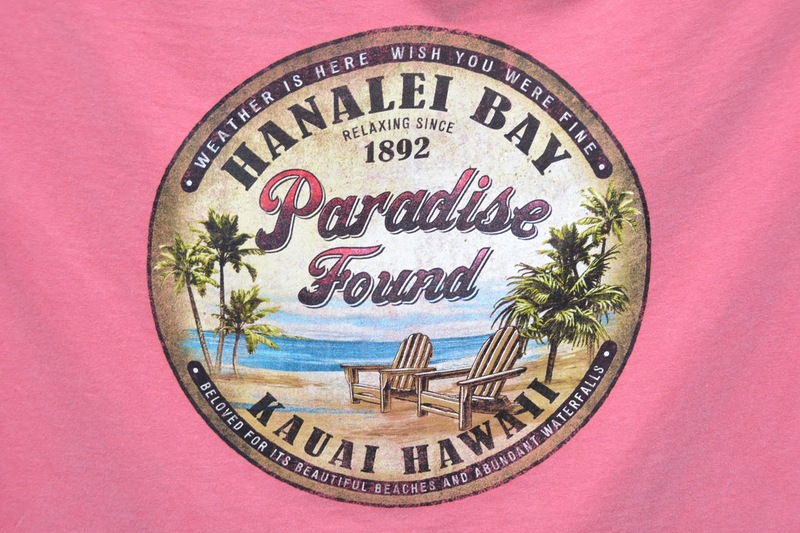 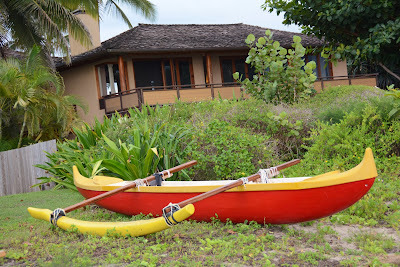 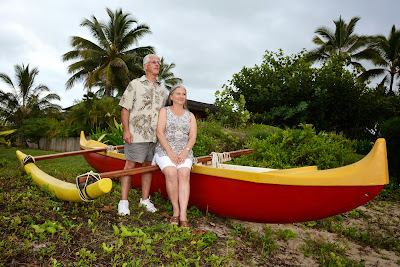 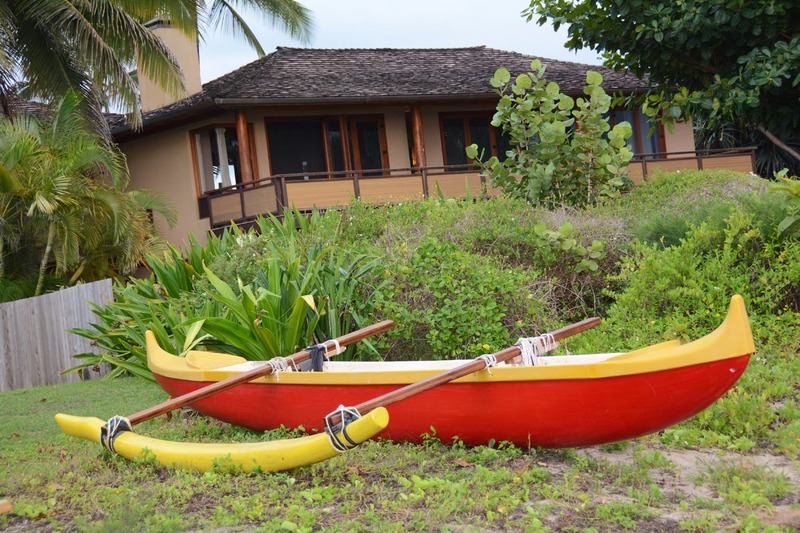 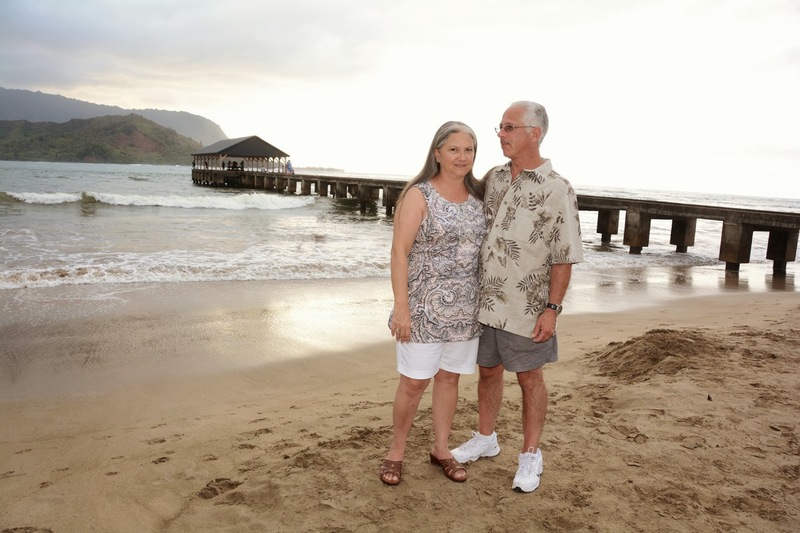 Hanalei Bay on North Shore Kauai is another one of those "must-see" places on the island. 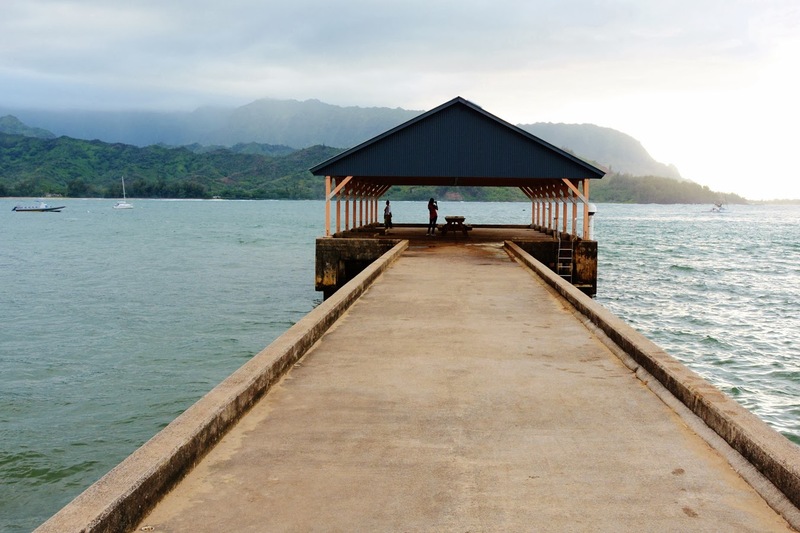 The Hanalei Bay Bridge is a popular subject of Kauai postcards. 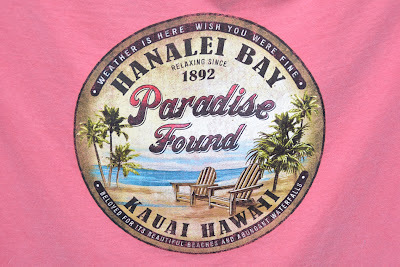 If you have the time it's fun to see all the gorgeous beach-front homes along the bay. 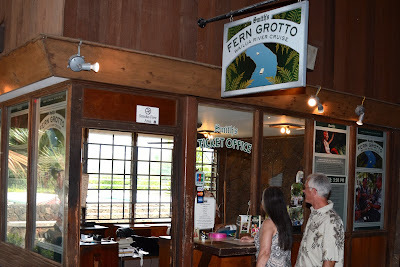 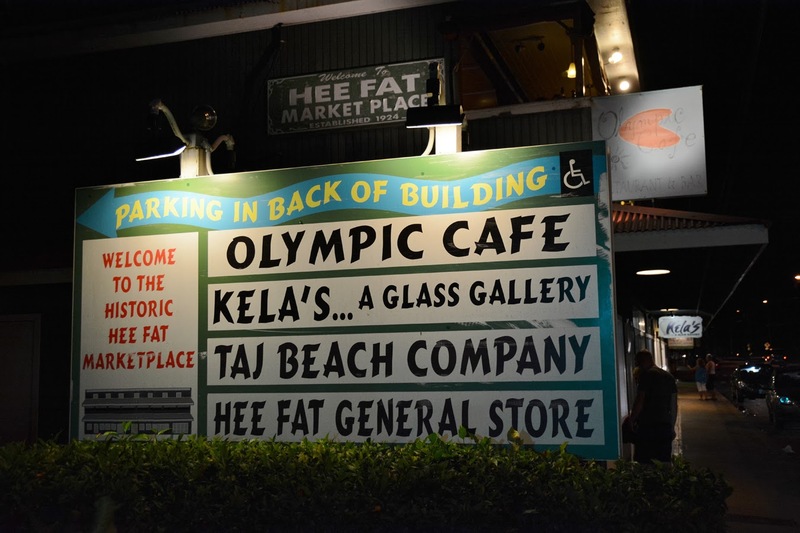 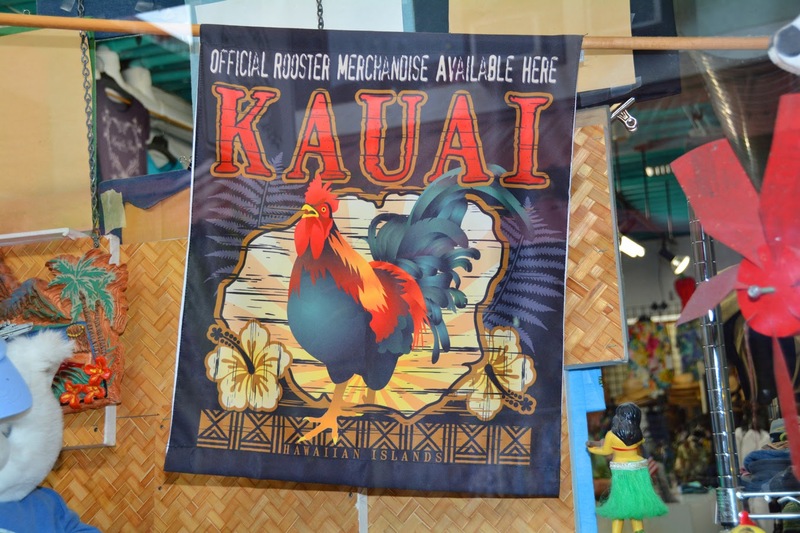 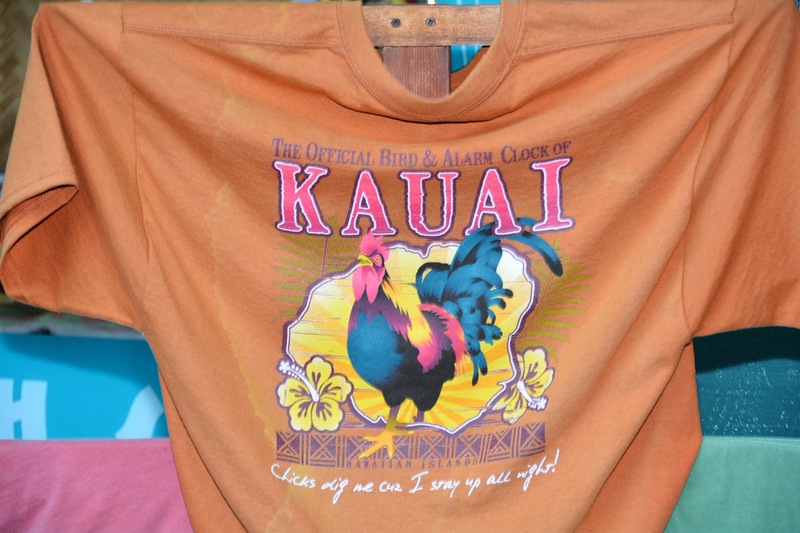 The little town of Hanalei on North Shore Kauai had some cute shops and cool painted signs. 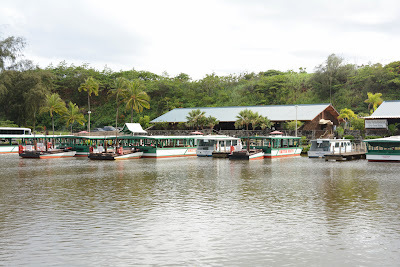 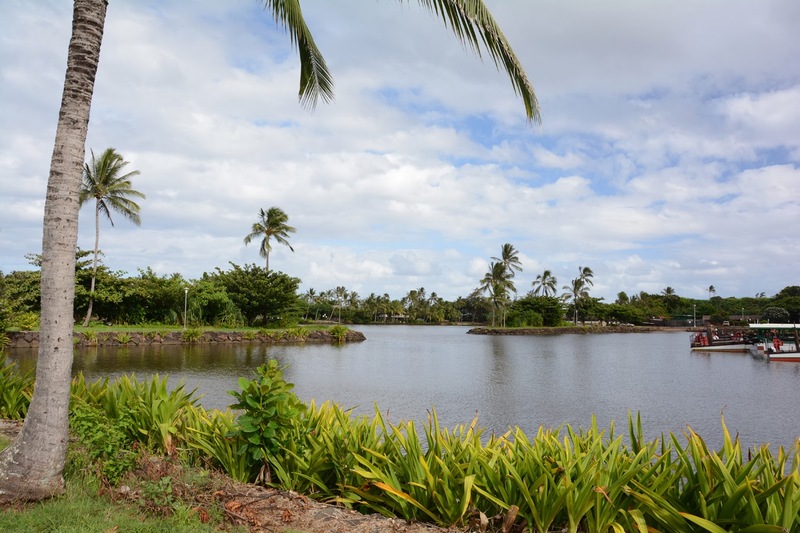 Wailua River is the only navigable river in the Hawaiian Islands, and was a filming location for Elvis' movie "BLUE HAWAII". 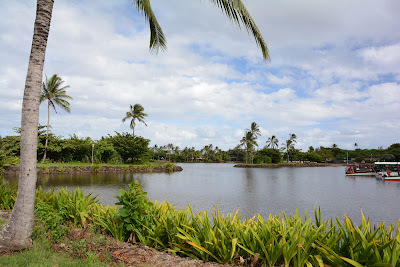 The lush greenery is refreshing on the eyes and makes a nice place to stop as we make our way around the island of Kauai headed towards the North Shore. 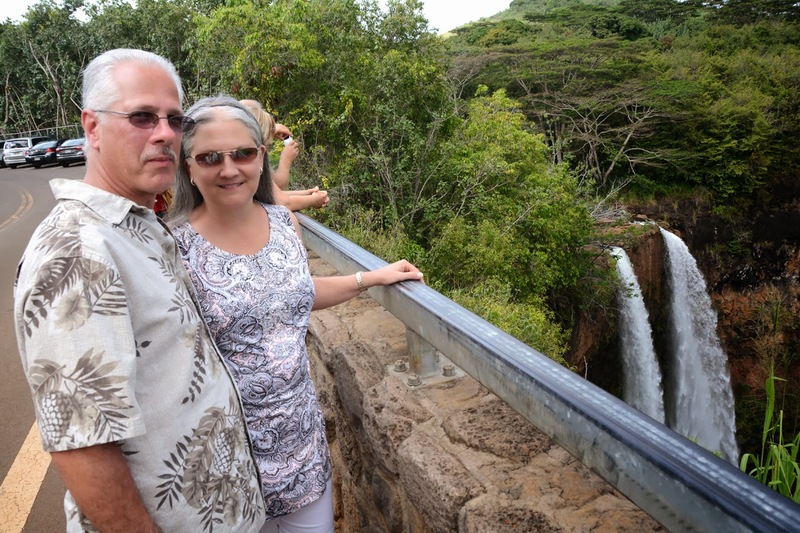 You can't visit Kauai without seeing a waterfall! 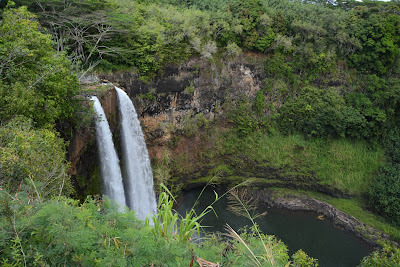 The top of Waialeale Mountain has the most rainfall in the world. 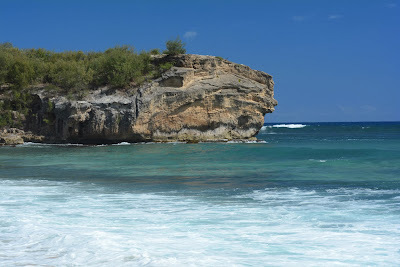 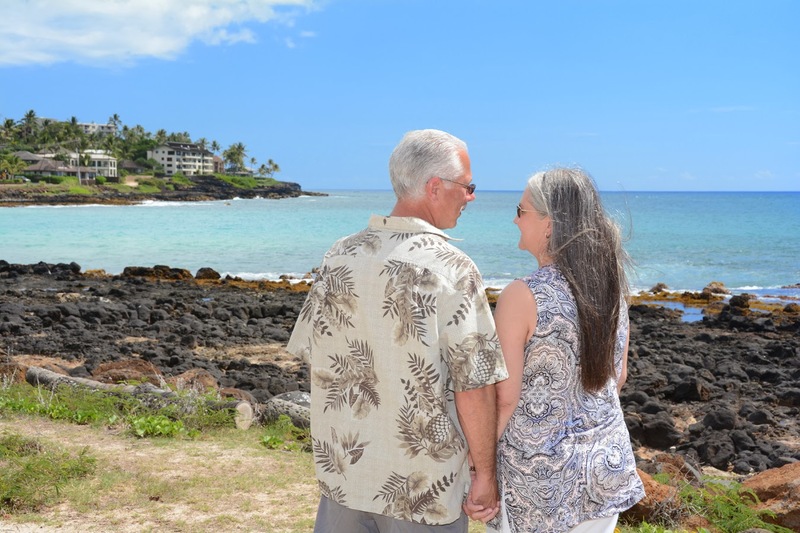 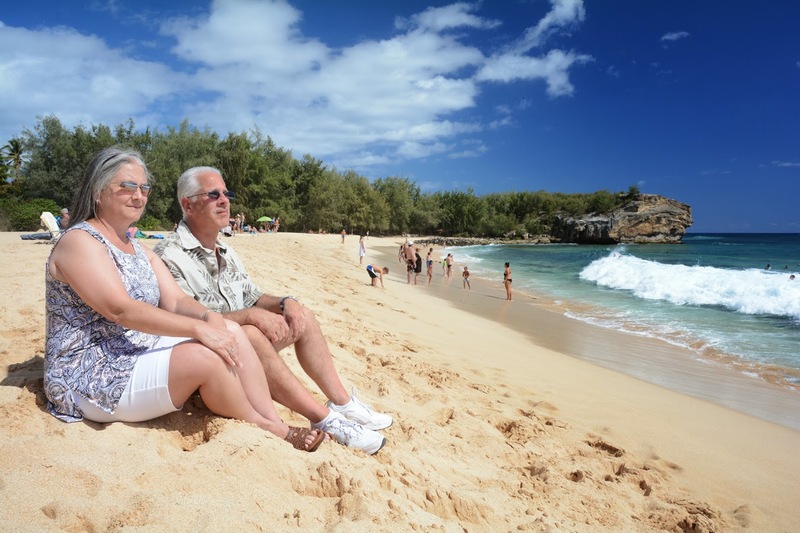 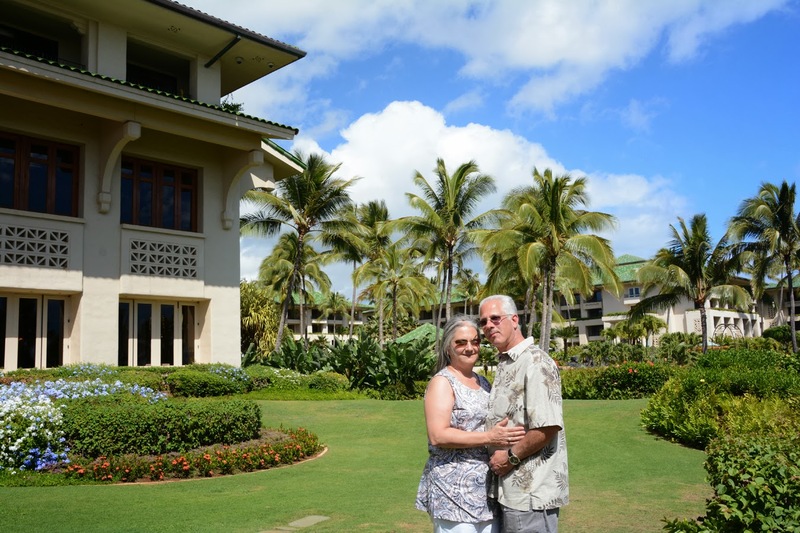 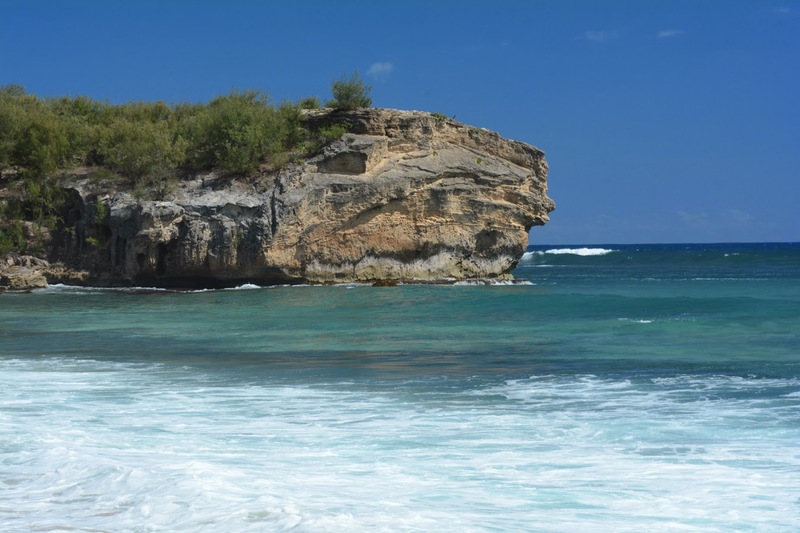 The Grand Hyatt and nearby Shipwreck Beach in Poipu are a couple must-see spots while visiting Kauai. 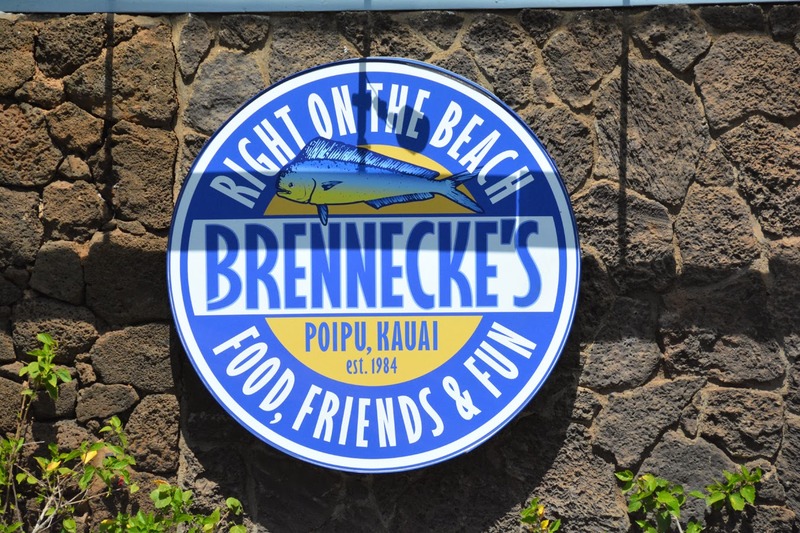 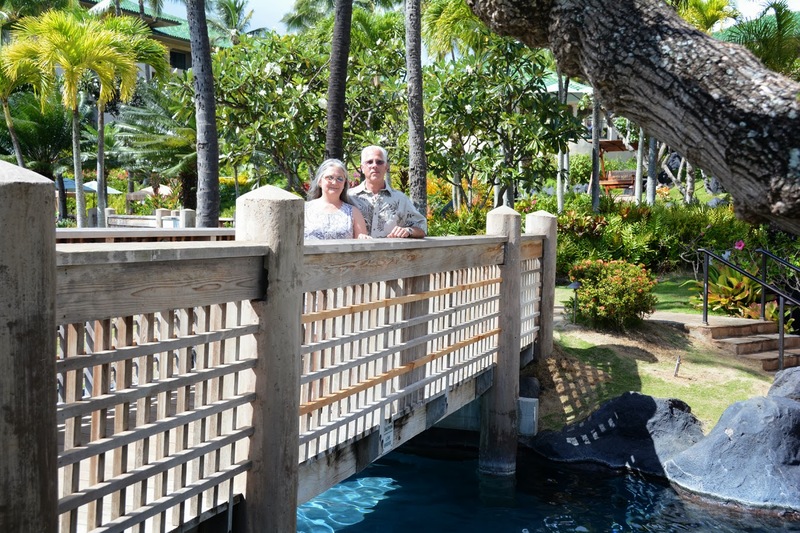 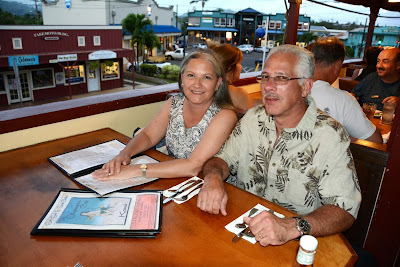 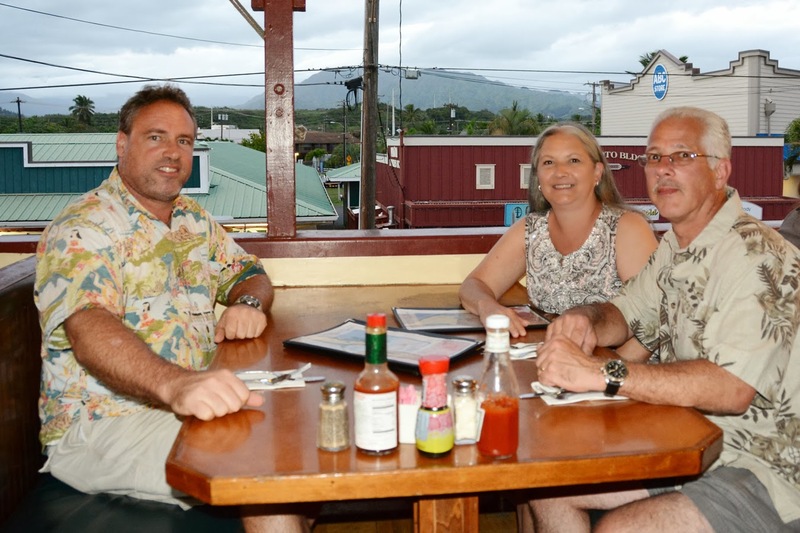 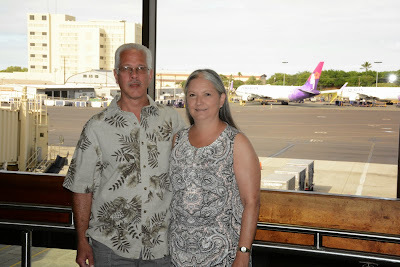 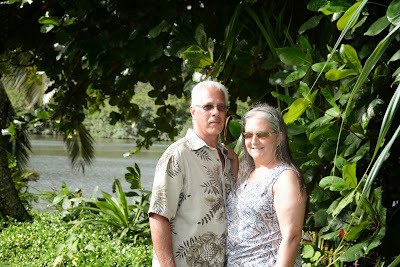 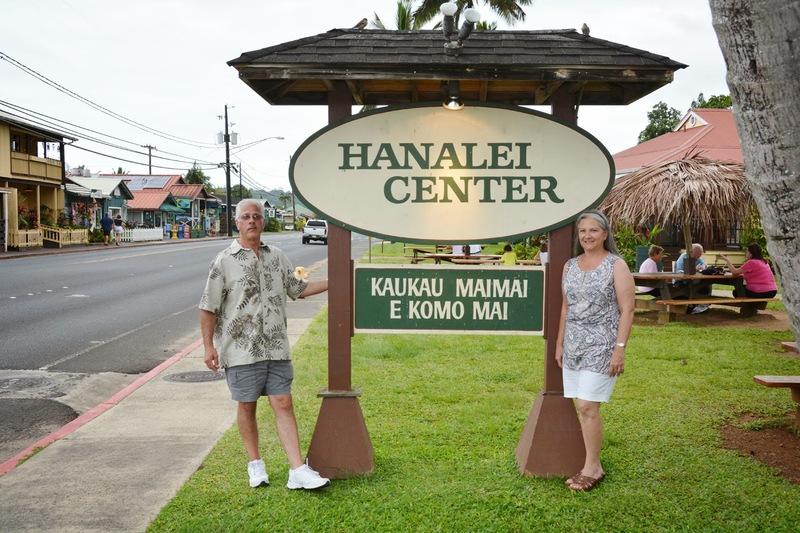 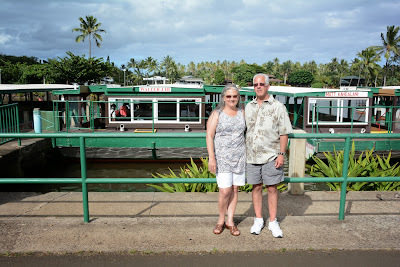 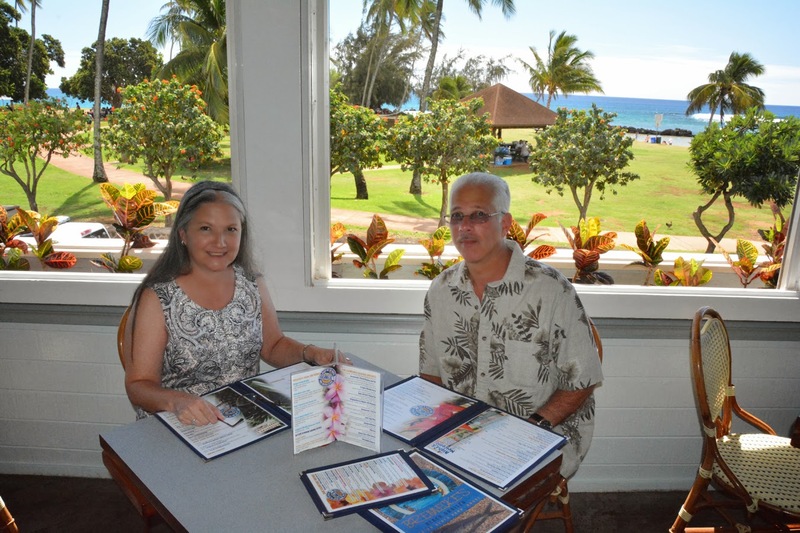 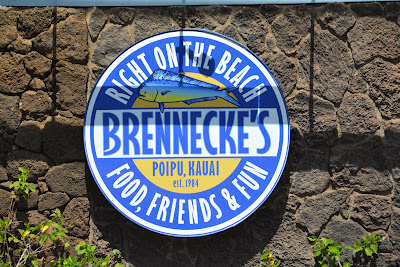 We caught a flight at Honolulu Airport to Kauai, and in a couple hours had our lunch at Brennecke's Restaurant in Poipu (South Kauai).